Roma, 21 gennaio 2019, Nena News – Secondo informazioni ricevute direttamente da colleghi medici della Striscia di Gaza, i due ospedali pediatrici della Striscia, Nasser e Rantissi, hanno dovuto chiudere domenica 20 per mancanza del carburante necessario a produrre l’energia elettrica senza la quale le strutture sanitarie non possono funzionare (nella Striscia l’erogazione di corrente tramite rete è da anni estremamente saltuaria). Allo stato attuale sei ospedali su tredici, Beit Hanoun e Najjar e 2 strutture specialistiche, gli Ospedali Psichiatrico e quello Oculistico, hanno chiuso oltre a quelli pediatrici. 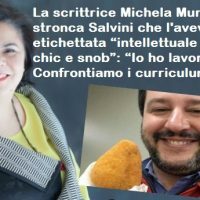 Le strutture sanitarie ancora in funzione hanno un’autonomia di pochissimi giorni prima di dover chiudere anch’esse. Questa nuova grave crisi è dovuta al blocco, da parte del governo israeliano, di fondi destinati alle strutture sanitarie della Striscia da donatori internazionali. 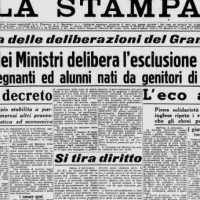 Questo passaggio era parte dell’accordo negoziato a metà novembre con la cessazione dei bombardamenti e rotto unilateralmente da Israele. In calce a questo comunicato riportiamo l’appello ufficiale del 15 gennaio del Ministero della Salute di Gaza. Purtroppo le previsioni di chiusura sono state necessarie. Come associazione lavoriamo da anni, in collaborazione con le strutture sanitarie della Striscia, per valutare gli effetti dei continui eventi bellici sulla salute riproduttiva degli abitanti di questo territorio, da 12 anni sottoposto ad un blocco quasi totale, contribuendo, per quanto le nostre poche forze lo permettano, a fornire a tali strutture attrezzature e strumentazioni diagnostiche mancanti o insufficienti e contribuendo alla qualificazione del personale medico ed infermieristico locale. Siamo quindi particolarmente preoccupati per il continuo peggiorare delle condizioni in cui operano le strutture sanitarie e di conseguenza di quelle in cui vivono tutti i 2 milioni di abitanti della Striscia ed in particolare i bambini. 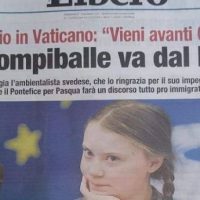 Invitiamo quindi a portare a conoscenza dell’opinione pubblica italiana e internazionale quest’ennesima emergenza in cui è costretto a vivere il popolo palestinese. MOH in Gaza appeals to all concerned parties to intervene immediately to end the fuel crisis hitting the governmental hospitals in Gaza Strip as the generators of the Emirati Maternity hospital in Rafah will stop within hours, this crises will expand to involve the entire health facilities within days. 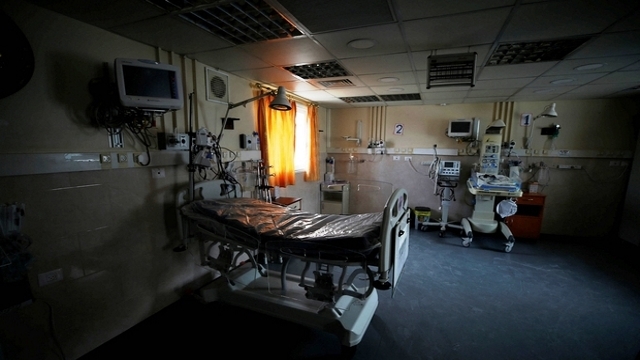 The Palestinian Health Ministry warns from an alarming crisis that hits the healthcare system in the besieged Gaza Strip due to the shortage of fuel supplies which provide power for hospitals. The fuel crisis which hit the Emirates Crescent Hospital and health facilities began after the end of November 2018 with the depletion of the remaining fuel quantities due to power outages and increased electricity loads due to the cold winter. We have not been supplied by any quantities of fuel from the donors, we reached a state of severe shortage and we are counting down to stop many hospitals’ generators in the coming hours, which will lead to stopping the health service of additional hospitals and health facilities and therefore we appeal to all the concerned parties to provide our hospitals with fuel to ensure the continuity of health services for thousands of patients in Gaza strip. The monthly consumption of fuel is 300,000 liters per month. Al-Aqsa Martyrs Hospital in the middle zone of Gaza Strip transferred 2500 liters of fuel from its own tanks to save the UAE Crescent Maternity Hospital in Rafah city, which is about to halt operation because of fuel shortage, noting that the transferred amount will be enough for two days in the maternity hospital and the remaining fuel in Al-Aqsa hospital will be finished in 5 days only. Continuing crisis of fuel depletion in health facilities will have catastrophic consequences for patients in the Gaza Strip when the generators stop within a few days. ☜ It will threaten the lives of 800 patients with renal failure who attend for 128 dialysis machines 3 times a week, including 30 children. ☜ 40 operation rooms will be interrupted in which 250 operations are being operated per day. ☜ The lives of hundreds of pregnant women who require caesarean sections will be threatened when the operation rooms in the delivery sections stop. ☜ The health situation of thousands of patients who require laboratory tests and blood units will be exacerbated every day when 50 medical laboratories and 10 blood banks are suspended at Ministry of Health facilities. ☜ The lives of 100 patients in the intensive care units will be threatened as their lives are linked to the continuous electricity that run life saving medical devices. ☜ Halting the oxygen concentrators, sterilization units, laundries and other supportive services in Gaza Strip hospitals. ☜ The health situation of thousands of patients will be at risk as they will be deprived of diagnostic services in the radiology departments of the Gaza Strip hospitals. Dozens of patients every day will be denied of therapeutic and diagnostic cardiac catheterization services. 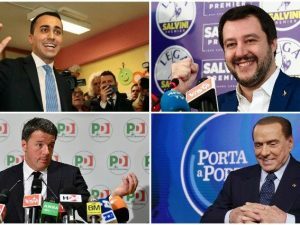 Iscriviti al Movimento 5 Stelle!